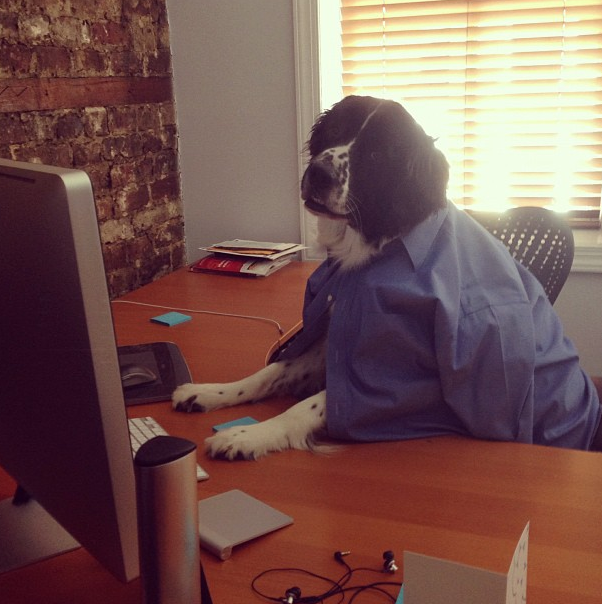 being able to bring my dog, Clifford, to work. I consider myself very lucky to have gotten a job that lets me check all three off the list. Did you know that studies show that being able to bring a dog to the office not only reduces stress, improves employee feedback on their job, but also promotes better teamwork and collaboration? 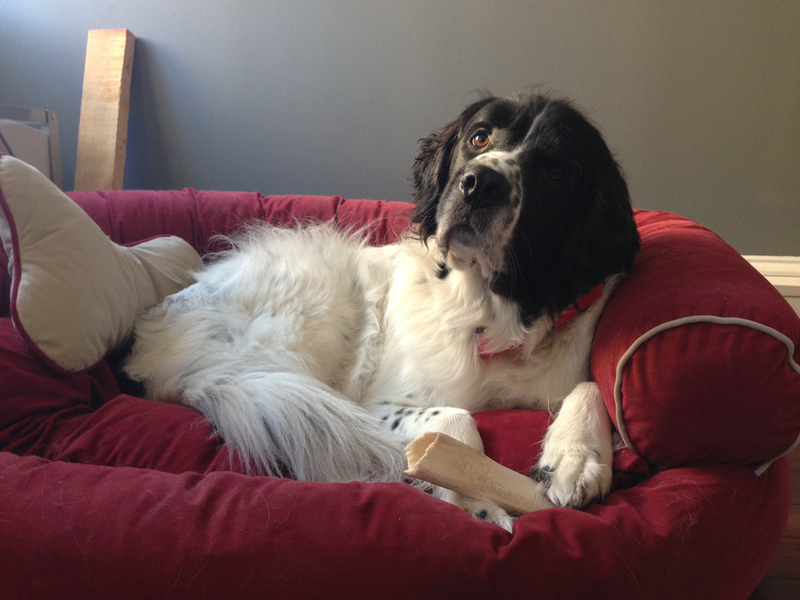 Clifford is a soon to be 5 year old Newfoundland/ Springer Spaniel Mix. Serving as "Olfactory Intelligence" he is in charge of smelling out good projects and ideas when he's not busy sleeping in his couch-shaped dog bed, looking out the window at shoppers on King St, dressing as a co-worker's cat for Halloween, or trying to intimidate the occasional UPS deliveryman. I like to think he makes the office atmosphere even more playful and down to earth than it already is. After all, who doesn't love a big fluffy smile and tail wag to greet you throughout the day?